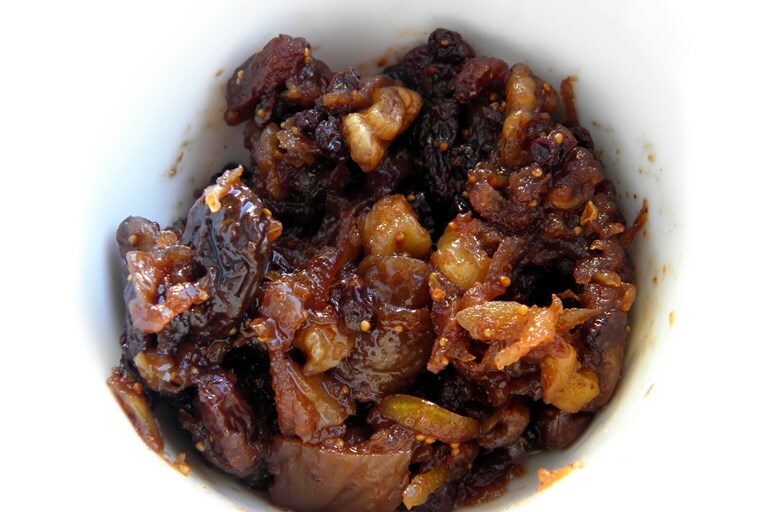 Howard's suet-free mincemeat is simple and quick to achieve, packed with figs, raisins, walnuts and apple. This suet-free mincemeat is a great way of trying out unusual liqueurs . . . or using up the leftovers. Here I cooked the fruit in elderberry port, then added Calvados (apple brandy) at the end, but anything similar will do the job. A word about mixed spice – supermarket fare usually consists of some combination of cinnamon, coriander, ginger and cloves, but venture further afield and you'll find star anise, cardamom and many more. Try independent shops or use a spice grinder and create your own blend.